An organization’s approach to health IT varies by care setting and related care delivery needs. Although the Health IT Playbook primarily targets ambulatory care practices, this section includes tools and resources to support a variety of care settings with unique considerations for health IT implementation and adoption. As the U.S. population continues to age, the number of people 65 years and older will more than double from 40 million to 89 million by 2050 — and the demand for long-term post-acute care (LTPAC) services will grow. LTPAC covers a wide array of services and settings — including complex medical care in long-term care hospitals, rehabilitative services in skilled nursing facilities, and supportive services in home- and community-based settings. Transitions across LTPAC settings are common and can be costly. Patients who receive LTPAC services often have a wide range of health conditions and more complex, chronic care needs. These patients frequently receive care from multiple care settings and require ongoing communication and coordination between each service point. Health IT supports patient-centered care — particularly during transitions from one care setting to another. 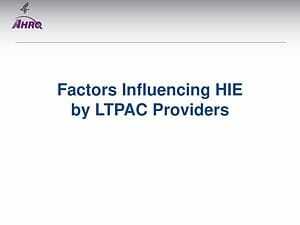 Ultimately, health IT can help LTPAC clinicians improve patient health outcomes and reduce health care costs. 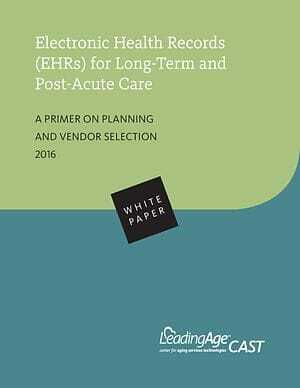 As electronic health record (EHR) adoption and interoperability continues to advance in both acute and ambulatory care settings, it’s increasingly important for LTPAC clinicians to adopt EHR systems capable of exchanging interoperable clinical data that can improve the quality of care. For more information on actionable tools to assist in planning for and optimizing the use of health IT, check out the Health IT Toolkits for nursing homes, home health and care coordination. 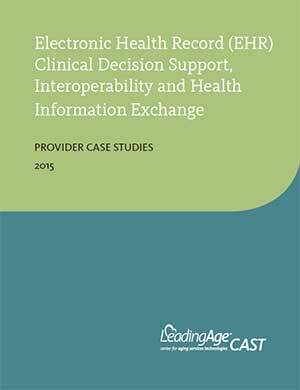 Long-term and post-acute care clinicians can use health information exchange to address patient engagement challenges and improve accuracy of patient data. 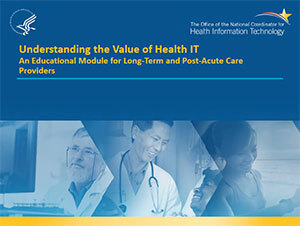 This module will help you understand the value of integrating health IT and health information exchange in your setting. Almost 20% of the U.S. population lives in a rural area. Critical Access Hospitals (CAHs) and other small, rural hospitals provide vital services and often serve as the foundations of rural health-care delivery systems. People living in rural areas face barriers to accessing health care services, such as traveling long distances. Rural hospitals — often the only local source for patient care — typically offer additional services that residents couldn’t otherwise access. Health IT holds great potential for rural communities. Clinicians benefit especially from EHR systems, which can transform how they collect, manage, store, use, and share health information. Better care coordination and instant access to patient information can improve health care quality and patient outcomes. An EHR also creates an improved mechanism to complete specialty referrals, which is valuable when communities have limited access to specialists. MUAs and MUPs refer to areas or populations that have insufficient primary care clinicians, high infant mortality, a high poverty rate, and/or a large older-adult population. In short, HPSAs may be urban or rural areas, population groups, or medical or other public facilities. Medically underserved communities aren’t just very remote or deeply rural. Many areas throughout the country, including inner-city urban areas, qualify as MUAs, MUPs, and HPSAs. 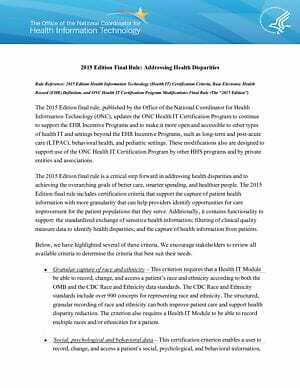 The Office of the National Coordinator (ONC) 2015 Edition for Health IT Certification Criteria, Base EHR Definition, and Certification Program Modifications describe in detail the various criteria to help clinicians determine the best EHR for their needs. Use health IT to support a variety of care settings. Do you have a tip or suggestion for using health IT to support a variety of care settings that's worked well in your practice? Share it here!